How lightweight should you go? So by the cunning use of salad, a somewhat extended Stoptober, and a great many more carrots than a regular person would consume, I’ve managed to get rid of a hefty 5.4kg without resorting to chopping off a limb. From 66.6kg to 61.2kg, wohoo! Then I got silly. My hairbands weigh 1g. They are necessary, but hair, nah ha ha. I booked a hair cut. I’m actually thinking about taking my scales to the hairdressers to see how much they chop off. Then talking to my very much motivational coach Rory Coleman, he mentioned race shoes. 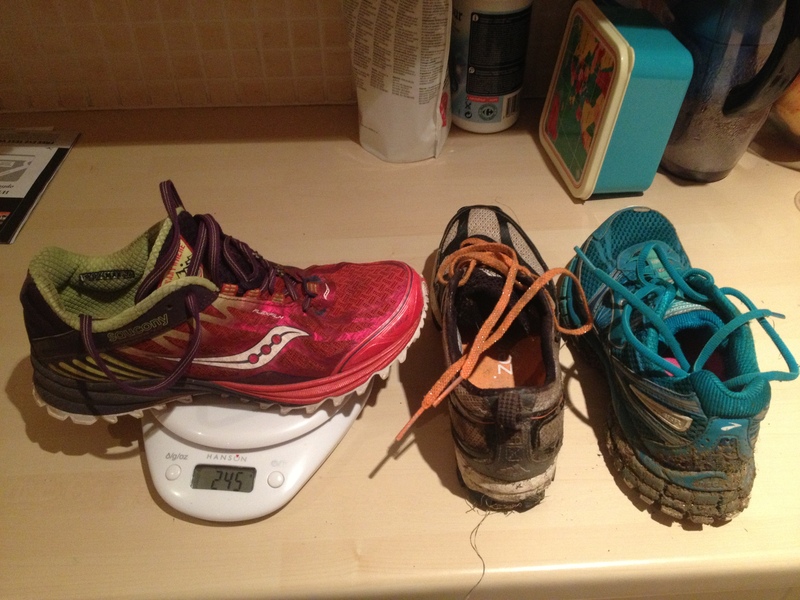 I’ve been really enjoying training in my brilliant support shoes, Brooks Adrenaline ASR, but sadly one weighs 294g while my Saucony Peregrines are a slightly more feathery 244g… 100g total for the pair, that’s got to be worth something. My running club friends, over for a roast on Sunday, laughed at me. Ed suggested just doing a kilo of poo before the race and not wearing mascara. Katy said I should chop all my finger and toe nails right down. Somebody possibly whispered, “Brazilian?” The thing is, in my current state of mind that is actually coming across as brilliant advice! I plan to do all of it – because at Dave Braislford said, it’s the “The aggregation of marginal gains” – the accumulation of all those tiny tiny weight losses might make me another half minute that I really really need on race day. Sorry Brooks you lost out to Saucony on this occasion, but you’re still my favourite training partner, and hopefully I’ll feel quicker on my lighter feet! 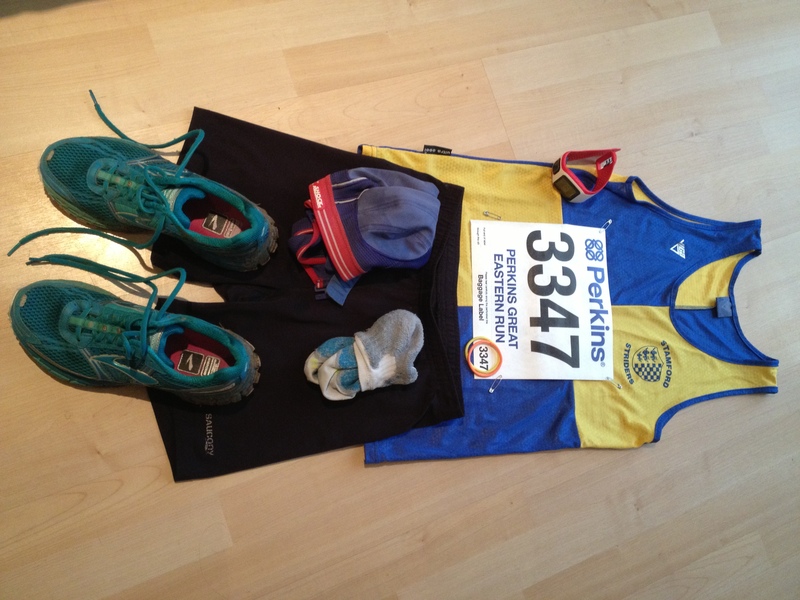 I calculate I’ve made a kit saving of shoes 100g, cap & pants 67g, shorts 40g, hair 30g, wow, that’s a possibly significant 250g. Might make me 5 seconds faster…maybe! I didn’t loose all this body weight the hard way just to put it all back on in my clothing on the day! Try it yourself – how low can you go without being actually naked? Ha ha ha just kidding! Next Next post: Best way to get motivated!